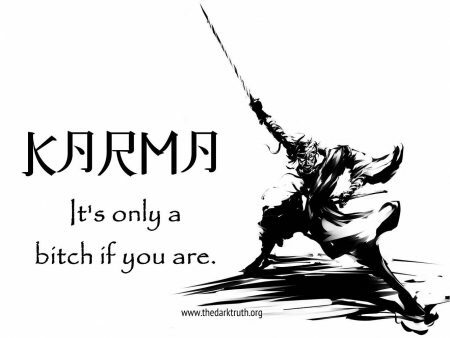 The word Karma means ACTION but it has come to represent the universal cosmic law of cause and effect. 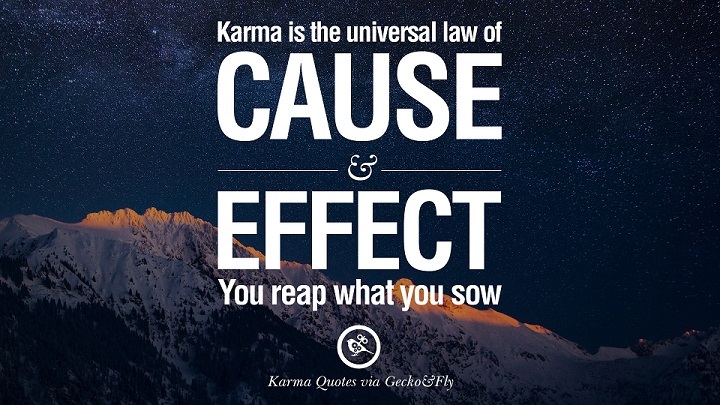 Like Newton’s 3rd law of motion – for every action there is an equal and opposite reaction – the Law of Karma suggests that whatever action we take will have an appropriate consequence. Forces occur in pairs: every action has a reaction or consequence. In physics the action and reaction are simultaneous and it almost makes no difference which occurs first – cause and effect is fixed. But people tend to ascribe values on Karmic actions – we judge the actions and consequences to be good or bad based on our own morality. There is also the idea that there is a fundamental, universal morality that makes fair and impartial judgments of actions and based on that judgment, imposes appropriate consequences. The EFFECT is “chosen” based on the CAUSE. Thus, ACTION is judged based on intention and motive. This interpretation gives people comfort of a sort but it goes against the nature of the law. 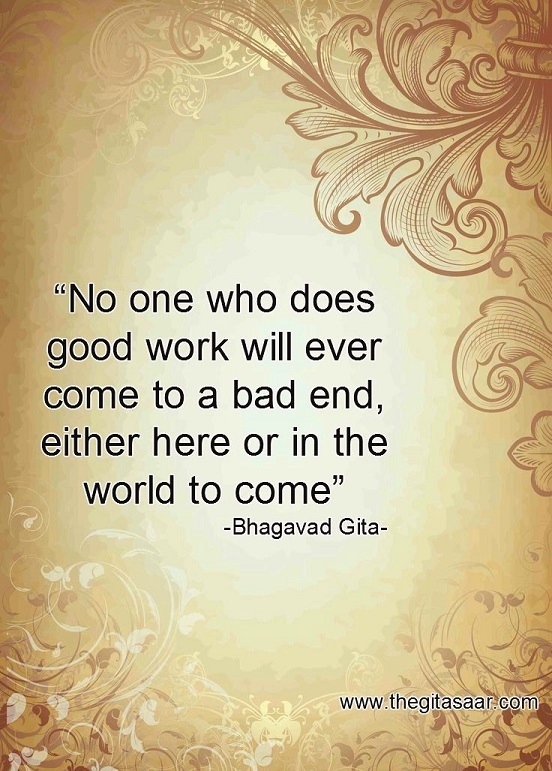 Some also interpret Karma as a record of merit or demerit points – our lives and future lives are seen as determined or influenced by how many good or bad points we accumulate. The circumstances we find ourselves in are thought of as a result of the good or bad actions we have previously taken. This can lead people to speculate that the universe – our lives in particular – is based on some system of rewards and punishments. And if we accept the punishment and pay off are debt in some way, we can be free of further prosecution. 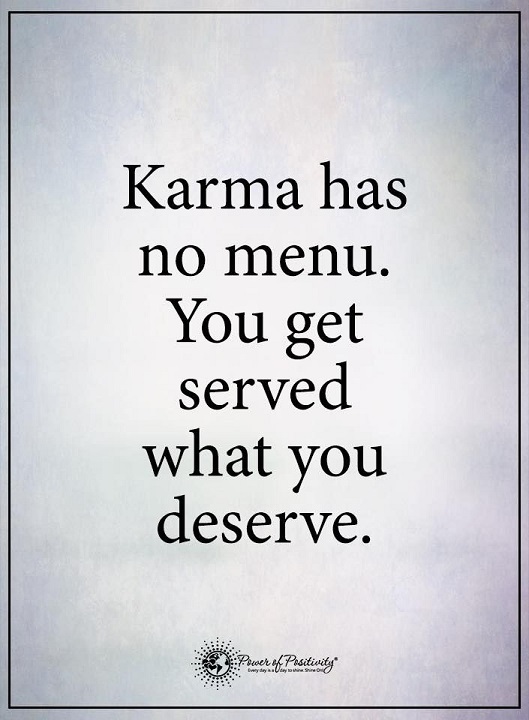 Karma should not be seen in this way. Karma is a natural law of the universe like gravity. There is no system of rewards and punishments built into it. Rather, there are simply natural consequences to certain actions and behavior. The Bible explains it with the statement that “as you sow, so shall you reap.” If you plant an apple seed, an apple tree grows. If you plant corn, corn will grow. If you plant pain, suffering, fear, anger, hostility, violence – then these things will grow within you. And you will bear the accompanying fruit. What seeds you plant now might bear fruit in this life or in a future life – but the thing you plant will surely grow. Our thoughts, emotions, beliefs, actions and behavior eventually return to us. This is the way we grow in understanding and evolve spiritually. There should be no thought of judgment or the accumulation of Karmic Debt. 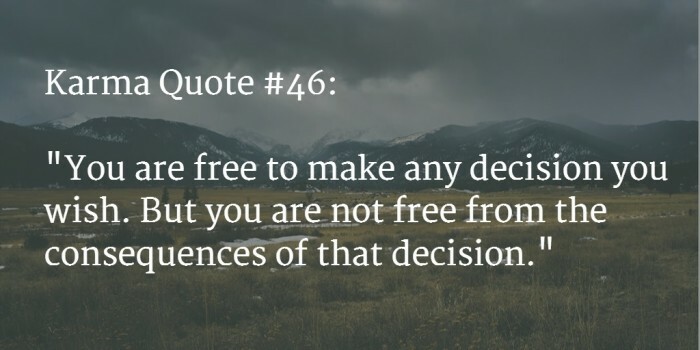 When we recognize the consequences of our actions, when we notice the effects in our lives, we can begin to modify our thoughts and behavior and move ourselves out of the negative circumstances we find ourselves in and develop more freedom and attain peace of mind. There is an old saying – sow a thought, reap an action; sow an action, reap a habit; sow a habit, reap a character; sow a character, reap a destiny. 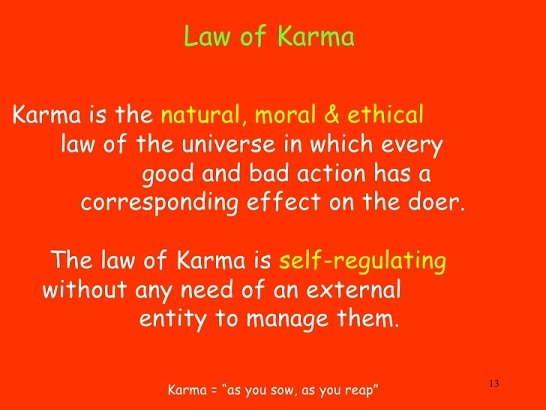 This is more in line with how the cosmic law of Karma works.